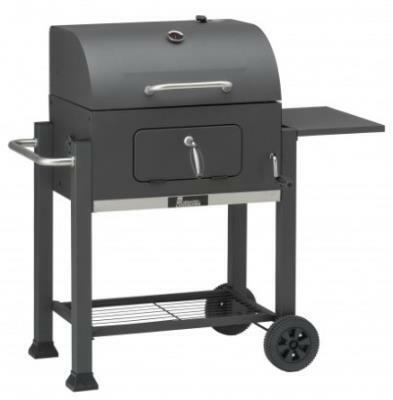 The Landmann Grill Chef Tennessee broiler smoker is ideal for large BBQ parties, you can roast or smoke large joints of meat before you guests arrive and then cook steaks or burgers on Chrome plated grills. 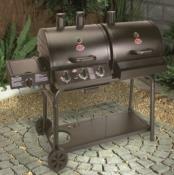 Adjustable charcoal grate height makes for easy control. 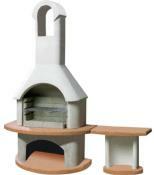 Super barbecue for grilling and smoking with a large cooking area. 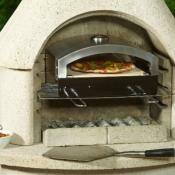 High heat paint lid, fire bowl, black. Bottom Shelf and 1 solid retractable side table. Charcoal perforated plate, height adjustable.